Reminder emails. Increase feedback scores up to 50%. 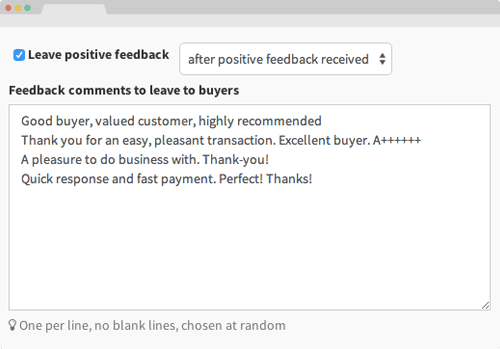 Increased feedback also increases Detailed Seller Ratings. Better DSRs give you a higher search rank. The better you rank, the more you sell. 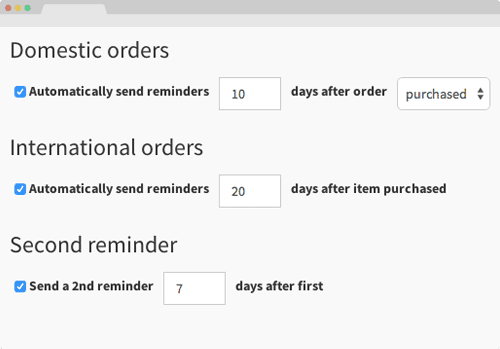 Feedback Boost tracks orders and sends up to 2 fully customizable reminder emails. You can set separate schedules for domestic and international shipments. A report shows how effective your reminders are. A blacklist feature allows you to block problem buyers. Automatically leave feedback. Hassle-free eBay. 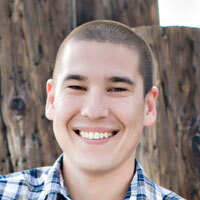 Leave buyers feedback immediately after you're paid or positive feedback is left for you. Let buyers know in your reminder emails that you've already left them feedback or that you'll do so after they leave it for you. Feedback alerts. Stay in the loop. 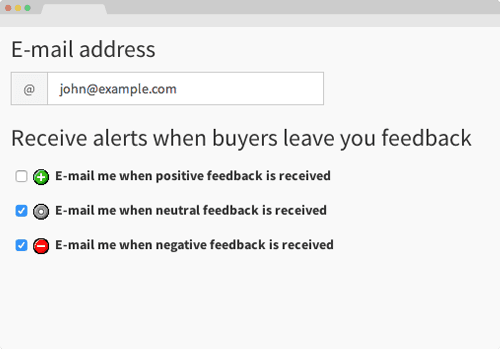 Receive instant email alerts whenever a buyer leaves you feedback on eBay. The alerts contain order and contact information so you can follow-up if you need to -- for example, to request a revision. A great thing about this program is it has prevented me from receiving bad feedback. When a buyer receives a notice asking for feedback, if they have a problem with the item, they respond to the email which lets me know so it can be resolved before they leave feedback. I recommend this program to anyone selling on Ebay. Even though I had been receiving 5 star ratings in most other categories, communication was one that kept holding my ratings back. I couldn't quite figure it out. I had all of the automated features going for feedback, etc. but still fell short until I tried this product. Since then I am hitting almost all 5's in all categories now. Thanks Feedback Boost! John quit his job as a Software Manager at Xerox when his first feedback solution, Feedback Pro, started to take off in Ebay's App Center. He hasn't looked back! His top-rated, automated feedback solutions have collectively earned sellers more than 50 million positive feedback on eBay. Kelly loves helping customers acheive their full potential with Feedback Boost. 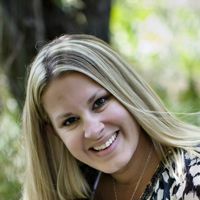 You can contact her for support as well as tips on how to get the most of the application using the chat widget in the bottom right corner.